Hi TT, bearing from euro car parts and get fb tuning or your local fitter to fit. P.s what year what car and what side? Thanks mate Mikee from MSOC is also in Croxley Green. IIRC Hughberry got me a good deal for £120+vat for the whole cartridge. -Did an oil and filter change last week. The car sounds much better on cold start up now on 10w 40w Gulf Motorsport oil than the winter oil which was IMO a bit too thin at 5w 30w. The slight piston slap sound that I would get for the first 2 minutes has now disappeared. -The constant annoying rattle from the up pipe heat shield has been fixed and its amazing how such a small thing can make such a big difference in driving pleasure! The car has been sounding not too healthy and seemed a bit down on power. Could it be valve clearances, piston rings etc etc ?? Did a coolant test for any particles that shouldn't be and that was fine, so no head gasket issues. Did a compression test, figures were slightly different from before but the one cylinder difference remained the same as before and all others were still equal. So this was also inconclusive. Hmmm then on comes the CEL fault light, so one thing leading to another Im thinking maybe top end rebuild. So I thought I might as well get some prices for a top end rebuild / Stroker kit These things aren't cheap as I found out. And its a good thing they'r not as I would have just got it done without going back to the issue again for a rethink! First step is make sure the fault codes are related to what I think the problem may be and not just a ruse. So maybe a Misfire fault code or some such? I tried to read the fault codes with Learning View on Romraider but for some reason could not open the file with Excel without it being jumbled up. Romraider works fine but that wont read fault codes. I then tried EcuExplorer which just didnt want to connect to the ECU. 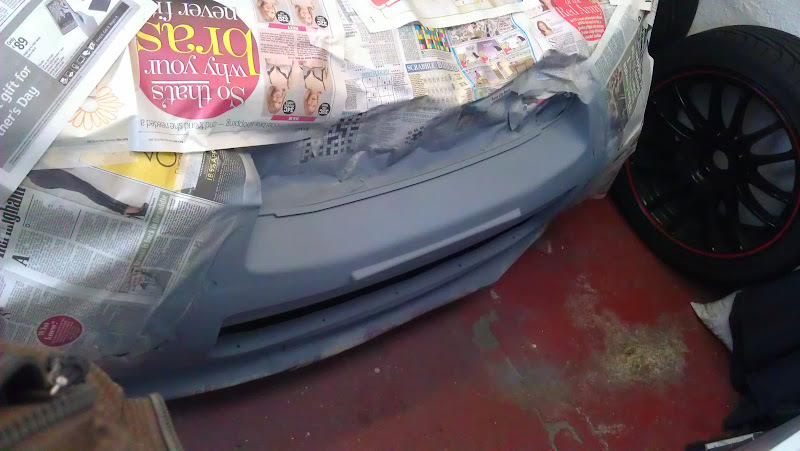 I then almost gave up and rang Duncan who suggested EcuEdit & if that doesnt work he'l try & pop round one day this week. Thankfully EcuEdit is quite user friendly and worked straight away. I spoke to Duncan again and we realised the fault codes, all four were just due to the various sensors being dis connected during the compression test i.e. maf, crank, coil pack etc & nothing else. So I cleared the fault codes, took it for a blast & no CEL lights came back. So this was nothing to do with my slight lack of power and odd sound / feel. Turned the ignition and "bobs your uncle" the cars back to the way it was!!! Took it for a blast & its never felt better or faster before!!! lol I think this may be the first time in life Iv managed to un-cross thread something!! Last edited by rickya; 13 March 2012 at 04:12 PM. And need to fit from recent order from RCM: Turbo return paper gasket & Heat wrap for downpipe. Last edited by rickya; 14 March 2012 at 02:15 PM. Ricky, do you have a link to EcuEdit please. Not sure I got the correct on while searching. 6 hours, 10 shredded fingers, one bruised elbow, stiff aching back.......never again......but I managed to fit the dam thing without taking off the inlet manifold!!!!! Would have been 2 hours quicker if it was made better. It was at least one inch too long on the turbo end, so the bit that goes to the recirc dump valve is too far forward. So several fitting and trimmings later it was done. In hindsight it would have been much better to have taken off the inlet manifold. Still need a airbox to inlet silicone joiner hose but may just go cold air intake instead and just do away with the airbox altogether. Last edited by rickya; 17 July 2012 at 11:28 AM. Bodged together a temporary airbox to inlet joiner hose. Not ideal but was able to test it all out. No boost leaks and car didn't blow up which means I put it all back together fine! But over approx 5k revs I am getting the Inlet closing in on itself I think. Could be near the bodged joint as I have not put the metal reinforced ring in there yet? "Silicone rubber construction with smooth wipe down finish. Temperature range -50C to 220C. Thickness = 5mm with four mesh Polyester or Nomex layers to enable higher pressure than original rubber hose does." I think these should be used with an Induction kit and not a std airbox. The std airbox being more restrictive than an Induction kit is causing a vacum, pre-turbo, under high boost. This wasnt a problem with the original inlet hose which was hard plastic, smaller in overall size/volume and less free flowing. So with that in mind and a mission for more airflow Iv just bought this off a friend on Scoobynet. An ebay cold air feed pipe also bought that will go from fog light cover up into inner wing. Another map tweek will be required! Last edited by rickya; 28 March 2012 at 05:08 PM. We are run the cheap silicone inlet pipe for few months without the problem,we are run around 1.5bar without the problem,but with some inlet pipe is problem they will collapse under boost. Second thought depends on inlet pipe and how many ply have and from this i would go,some have inside wire(Perrin) which helping from collapsing. Will see how inlet works with APS CAI, it may then be ok. If not Il have to find a better inlet. Map tweek booked for April 17th (for above mods and on previous map clutch was shot & not holding boost properly). Last edited by rickya; 04 April 2012 at 01:13 PM. To many it might seem like Im chasing some figures and hence constantly remapping, tweaking and modding bits and bobs. But in reality I like to get things just perfect and cant leave it knowing there's something not quite right! When I bought this car it was not quite right in many areas and in hindsight it would have been cheaper and easier to have just bought a different car. But experience in buying cars comes over time and hindsight is what it is! Saying that, what good that has come of this struggle is that I have learnt a lot and am not afraid to get stuck in now and believe it or not I have stopped cross threading.....almost!! lol Apart from major jobs and things that need ramps, Im quite prepared to give it a go and recently fitted brake pads, to turbo inlets, cold air kits, spray painting, fitting ICE, making ECU logs and soon Gauges and Suspension. This is really what I wanted and something that I dont think I would have done had it been my mint Spec C.
So I suppose the extra costs involved with this car can be seen as course fees for an all round Basic Car mechanics course!! I think finally the car is where it should have been at if the previous owner had any sense or knew how to mod and look after such cars. Almost all the bits that he had done have now been completely removed and all problems sorted. Along the way, thought out mods and fixes have been done as this thread describes. Approx 340bhp @ 5,600rpm / 365 ft/lbs @ 3,200 rpm, all at just 1.55 bar peak boost. It did make 350bhp at over 1.6bar boost but Duncan kept it at 1.55 peak as not really worth the stress on the turbo for the extra 10bhp. It holds 1.5 bar from 3,100rpm to 5,000 / 1.4 bar to 6,000rpm / 1.3bar to 7,000rpm. Last edited by rickya; 19 April 2012 at 06:18 PM. How much have you spent to get to where you are? 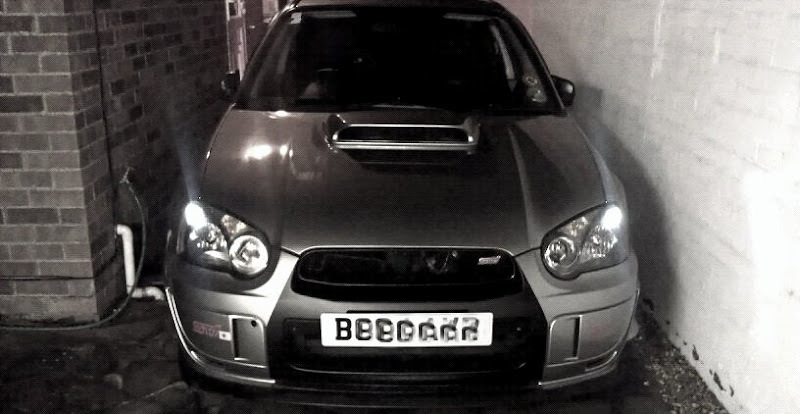 Can't wait til next week, Duncan is mapping my JDM again after a few tweeks! Should de a bit quicker! 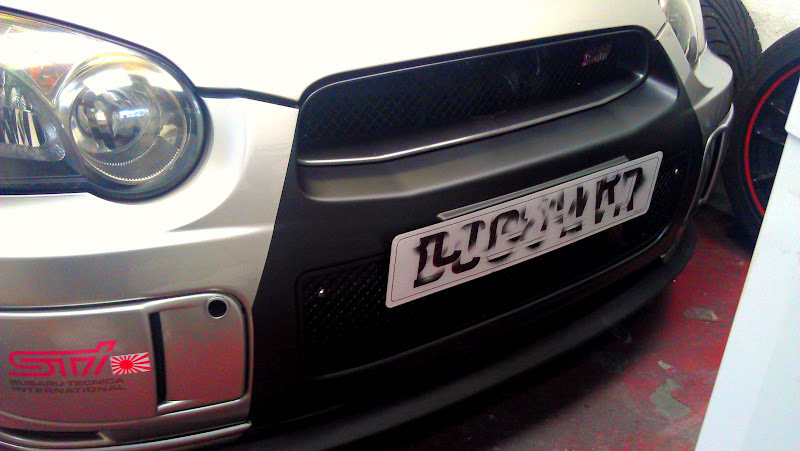 330 bhp & 350 ft/lbs torque Thanks to Richard @ FB Tuning. 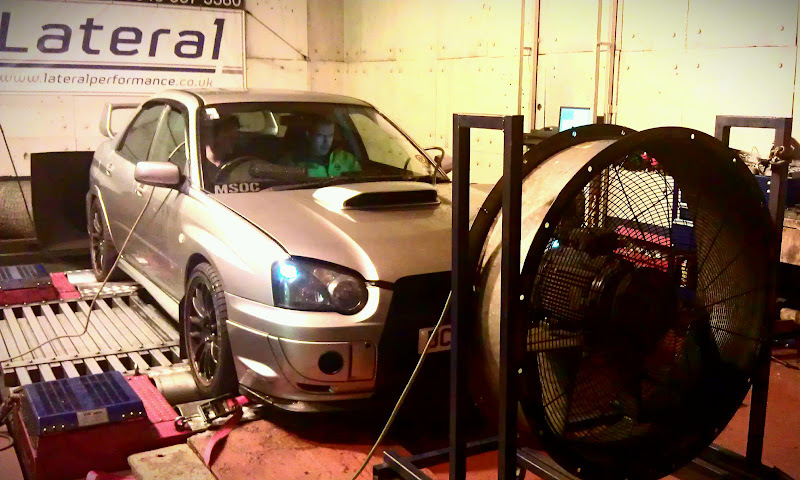 Start of July had a remap from Duncan @ Racedynamix.335bhp & 350 ft/lbs torque at approx 1.5bar on Subaru4You Dyno. To many it might seem like Im chasing some figures and hence constantly remapping, tweaking and modding bits and bobs. But in reality You are chasing figures edited for accuracy. Ricky bud, i think Budgie has the point. Theres no big difference in a real world . And you just wasted a fair bit of engslish dollars for a bloody 10bhp, 15 ft/lbs going up and down doing every tweak. It's not to do with power figures or mappers. If I were to post all dyno plots you would see what I'm referring to. The car had various inherent issues on the first few maps (not the fault of the mappers, but the car itself). These problems ranged from: knackered turbo, blowing up pipe, old plugs, knackered clutch and busted turbo inlet hose! These problems were discovered and rectified on a piecemeal basis unfortunately, hence various maps. What these issues caused was e.g. was not achieving max torque till 4, 600 rpm, not being able to hold 1.5 bar boost, to dropping off too soon, only making 330 ft/lbs torque, making 330bhp by almost having to cheat the ecu by building boost slowly so it won't suddenly drop off etc etc. At one point all these was pointing towards low compression, so really it was a process I had to follow to get to the bottom of it. Thank god I now have! Ultimately its a twin scroll car and should perform like one that's why I bought it, previously it was performing like a laggy TD0620G! Id rather not turn this into Fb tuning vs Racedynamix as they are both exceptional mappers, and me switching from on to te other has nothing to do with their work nor me chasing 10bhp and wasting extra £££! Just drive it and see! Ps I think Budgie means the amount iv spent on it I should have just kept the SPEC c!! Last edited by rickya; 20 April 2012 at 12:14 AM. Ricky nice write up,what suspension you are thinking and what gauges you want to go? Jura, Suspension wise iv got some Tein monoflex to go on with some apex adj lateral links, uprated rear ARB, and I already have ALK, camber bolts, uprated steering full bush kit. Not too sure on gauges though I like the neatness and simplicity of the 4 in 1 Deepo gauge and then mount it on centre of steering column? I know what you saying, but i think it's more of a mod bug than the car has a real fault? There always something you want to do to it. Well, i'm the same, but as we spoke before i came to the conclusion , that there is always going to be something you could improve? But do you realy need that? I need to test drive it before i speak TBH, so i'll just shut up for now. Mate.... stop ****ing around and get a proper turbo on it!!!! TRUST ME.... I've wrote the book on this ****! Last edited by rickya; 20 April 2012 at 07:49 PM.